I trust you are having an amazing year and are experiencing the health and wealth that you deserve! 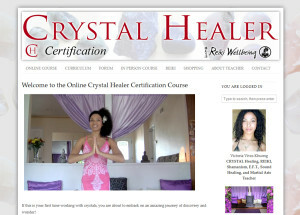 In my 18 years practicing Metaphysics and Energy Healing, I’ve experienced first hand and have witnessed countless Healers experiencing energy sinks that sap energy and well-being with, oftentimes, debilitating results. The signs and symptoms can range from mental, physical and emotional exhaustion, delicate constitution, stress, depression, incoherence, insomnia and even lack of business success. The good news is that all of these issues can be directly addressed with the following six Pillars of Power and Wellbeing for Healers! Lets start with the Ancestral Nexus. This really is the central source of strength for all Healers. Connecting with one’s ancestral lineage is a direct source of wisdom and strength that has already been established and is, by default, your birthright. All you have to do is learn to tap into it. If you don’t know much about your blood ancestors, there are still ways that you can access your lineage. An easy way to do this is to visit sacred land or a sacred site that resonates with you. Whether the location is actually a part of your ancestral history or not, is not important. By connecting with sacred land, you are, in effect, plugging into an ancestral “internet”, so to speak. 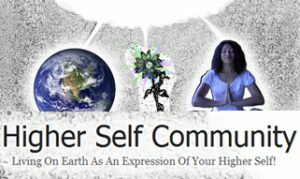 This will allow you to find, establish, and solidify a link to your ancestral wisdom that you can access anytime. Sacred sites are often visited by people throughout the ages, generations, and transcend history, politics, and religion. They are special places on the Earth that act as bridges, portals or access points into a collective spiritual consciousness. This is one of the reasons why pilgrimages to sacred sites are ubiquitous among all cultures. One of my favorite, and perhaps most powerful sacred sites in North America, is Mt. Shasta. This is why I hold the yearly Divine Starlight retreat there, coming up this July. The shear awe and bliss experienced through our healing retreat is magnified ten times over in the presence of the sacred mountain. Whether you join us at Mt Shasta Divine Starlight, or find another sacred site near you, this is an essential experience that all Healers should consider, a personal healing pilgrimage to a sacred site to connect with one’s ancestors. Enjoy the above Sacred Frequencies Videos I have prepared for you specifically to help you connect with your ancestors and sacred land. Looking forward to reconnecting with you with the 2nd Pillar, available on May 29, 2018 at https://reikiwellbeing.org/purification.